Proton has issued a recall for their Proton Waja sedans with chassis numbers PL1CF1SNR4F192489 to PL1CF1SRR5F217757. From what I’ve been told, cars from this batch were produced between June 2004 and January 2005. 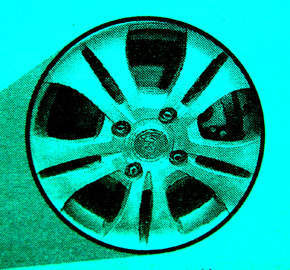 The problem involves alloy rims which failed endurance tests and cracked easily. Replacements would be provided FOC. Of course, if you’ve junked your Waja rims for new sports rims you’re not affected. Affected Waja owners can contact Proton i-Care at 1-300-880888 or EON hotline 1-8000-883003 for further details. If you own another car but are using Waja 1.6 rims, please try to somehow find out who was the previous owner and find out if his batch was affected. I’ve seen alot of Iswara owners using Waja rims. Update: The wheels look like this.